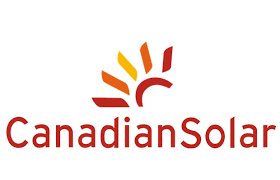 GUELPH, Ontario: Canadian Solar Inc. (the “Company”, or “Canadian Solar”) (NASDAQ: CSIQ), one of the world’s largest solar power companies, today announced that it has secured a 295 million Brazilian reais (US$80 million) financing from Banco do Nordeste S.A. (“BNB”) for its 114 MWp Salgueiro solar power project in the northeast state of Pernambuco, Brazil. BNB is the largest regional development bank in Latin America. The 114 MWp Salgueiro solar power project is part of the 478 MWp solar portfolio awarded to Canadian Solar during the past two Brazil A-4 energy auctions in December 2017 and April 2018. 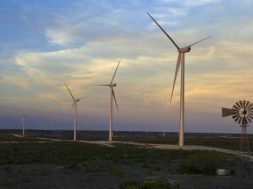 The Salgueiro project has a 20-year, inflation-linked power purchase agreement (PPA) with the Brazilian Electric Power Commercialization Chamber (CCEE). Construction is expected to start this year, with the plant entering commercial operations by mid of 2020. 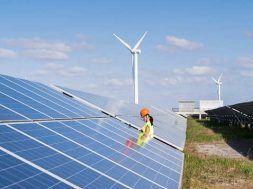 The plant will utilize over 286,000 of Canadian Solar’s high efficiency bifacial modules (BiHiKu) that can generate electricity from both sides of the module to benefit from high solar irradiance in Brazil’s northeast region. Certain statements in this press release are forward-looking statements that involve a number of risks and uncertainties that could cause actual results to differ materially. These statements are made under the “Safe Harbor” provisions of the U.S. Private Securities Litigation Reform Act of 1995. In some cases, you can identify forward-looking statements by such terms as “believes,” “expects,” “anticipates,” “intends,” “estimates,” the negative of these terms, or other comparable terminology. Factors that could cause actual results to differ include general business and economic conditions and the state of the solar industry; governmental support for the deployment of solar power; future available supplies of high-purity silicon; demand for end-use products by consumers and inventory levels of such products in the supply chain; changes in demand from significant customers; changes in demand from major markets such as Japan, the U.S., Indiaand China; changes in customer order patterns; changes in product mix; capacity utilization; level of competition; pricing pressure and declines in average selling prices; delays in new product introduction; delays in utility-scale project approval process; delays in utility-scale project construction; delays in the completion of project sales; continued success in technological innovations and delivery of products with the features customers demand; shortage in supply of materials or capacity requirements; availability of financing; exchange rate fluctuations; litigation and other risks as described in the Company’s SEC filings, including its annual report on Form 20-F filed on April 26, 2018. 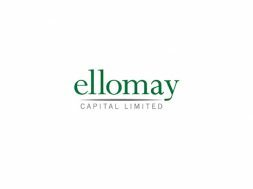 Although the Company believes that the expectations reflected in the forward looking statements are reasonable, it cannot guarantee future results, level of activity, performance, or achievements. Investors should not place undue reliance on these forward-looking statements. 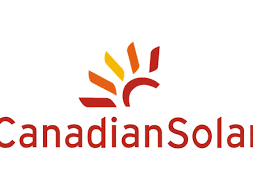 All information provided in this press release is as of today’s date, unless otherwise stated, and Canadian Solar undertakes no duty to update such information, except as required under applicable law.